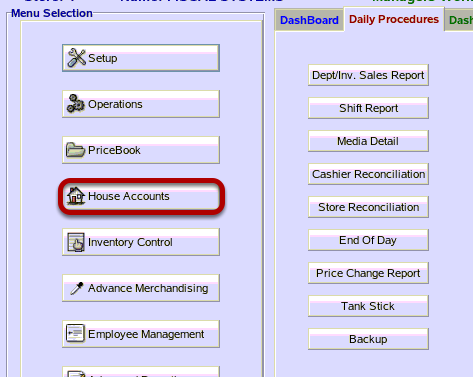 TravStar1 Point Of Sale SystemManager's Work Station House Account ManagementHow Do I Make a Payment on a House Account to One Invoice? In this lesson we are paying off an individual charge. 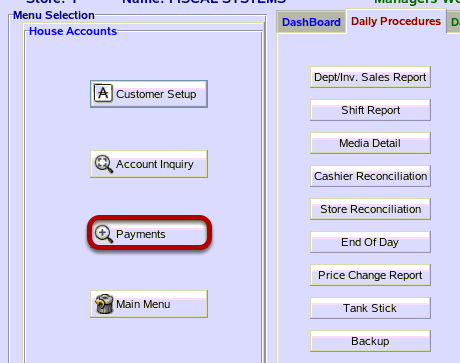 (1) From the Customer Statements / Adjustments screen, click on the customer whom you are making a payment for. 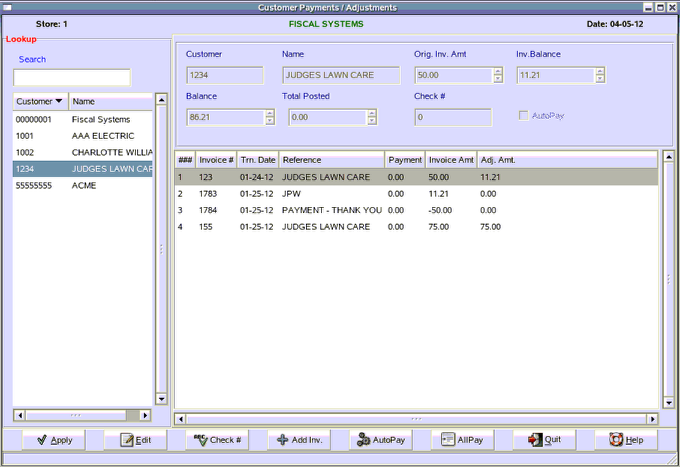 (2) Click on the invoice you want to pay off. (3) Click on the "Edit" button. 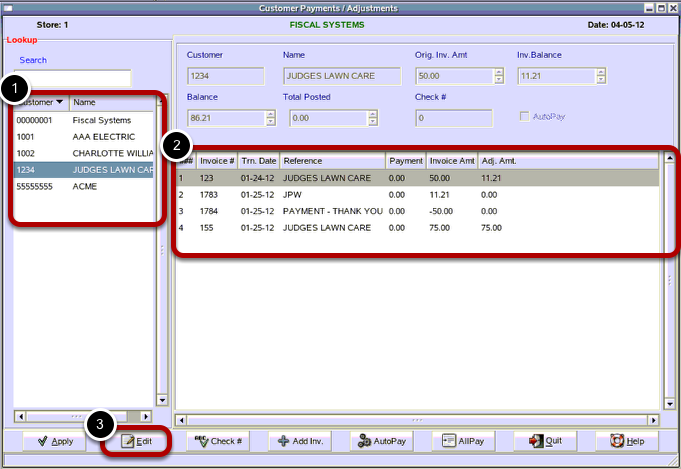 With your cursor in the payment field, type in the amount of the payment followed by enter. (1) Notice that your payment now shows up. The payment will be shown as the last entry on the Customer Payments / Adjusts screen. Prev: How Do I Make a Payment on a House Account? Next: How Do I Make a Payment on a House Account to All Charges within a Date Range?